LG's flagship handset for the year is the gorgeous G6. It's a beautiful handset that packs an a amazing amount of technology into its slim frame. 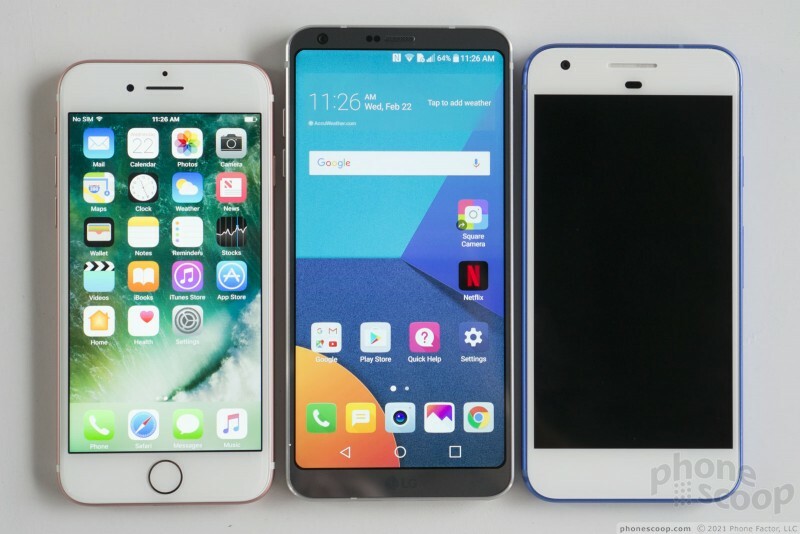 This may be the first year wherein LG's flagship truly goes toe-to-toe with the best from Apple and Samsung. 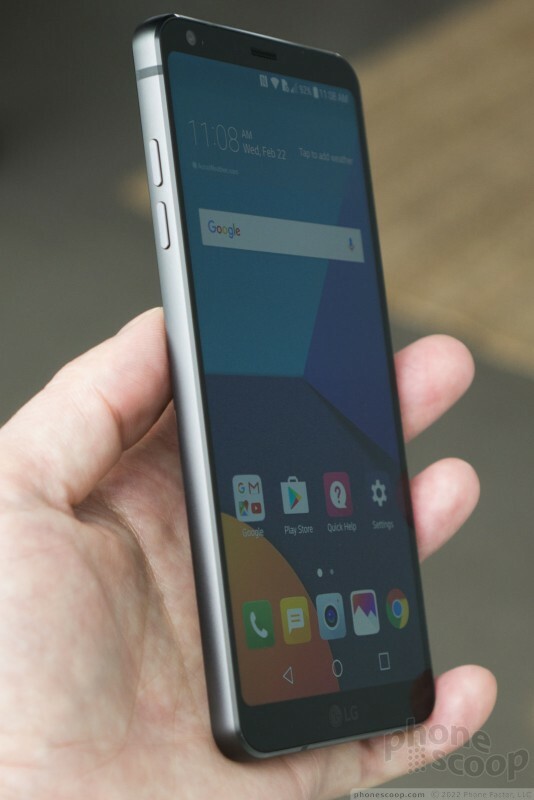 Here are our first impressions of the LG G6. 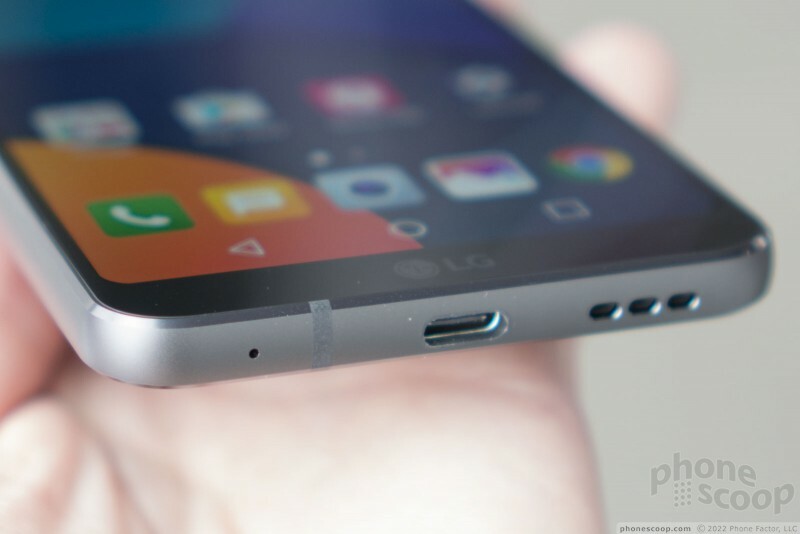 The G6 represents some of LG's finest thinking and its finest level of execution. I genuinely thought last year's G5 was an interesting phone, but LG didn't pull it off with respect to the phone's manufacturing. 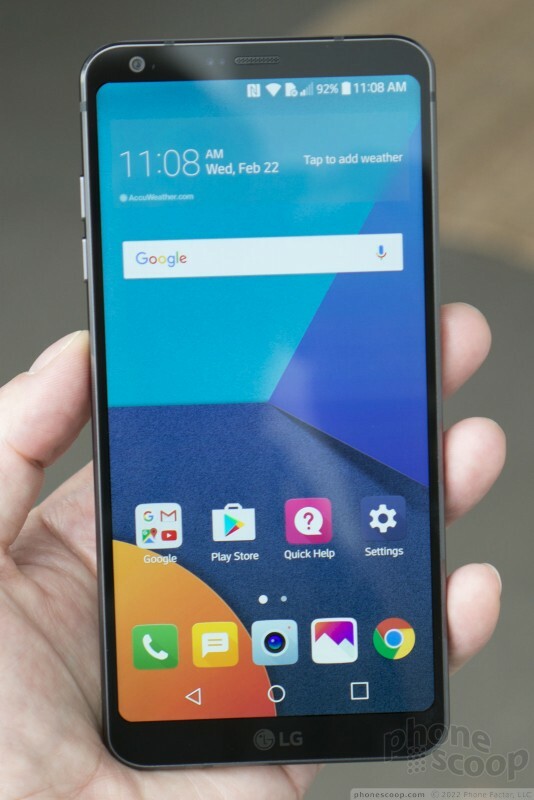 The G6 is far more appealing, more advanced, and more complete than any other phone from LG. 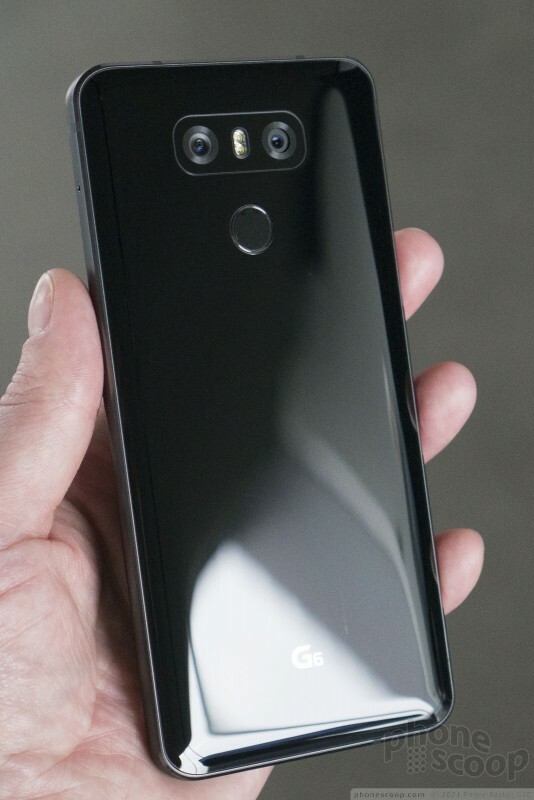 If ever LG had a smartphone to compete directly with the iPhone and Galaxy S, it is this year's G6. LG crafted a stunning slab from aluminum and glass that impresses in many ways. This flagship handset is sleek, sultry, and simply irresistible. 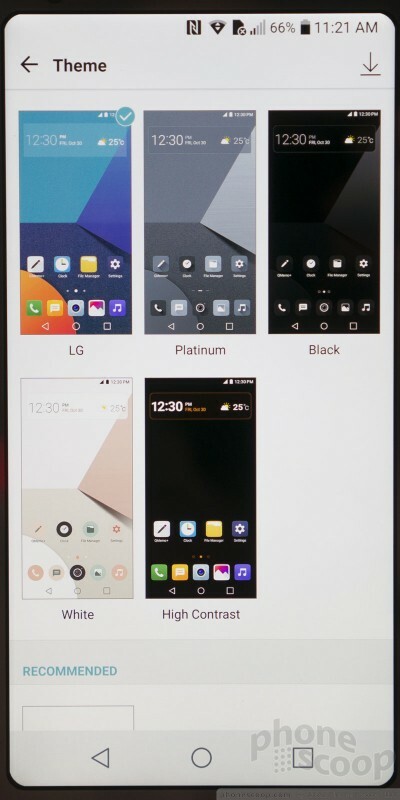 What's perhaps most significant is how LG managed to keep the screen size and overall footprint in check. 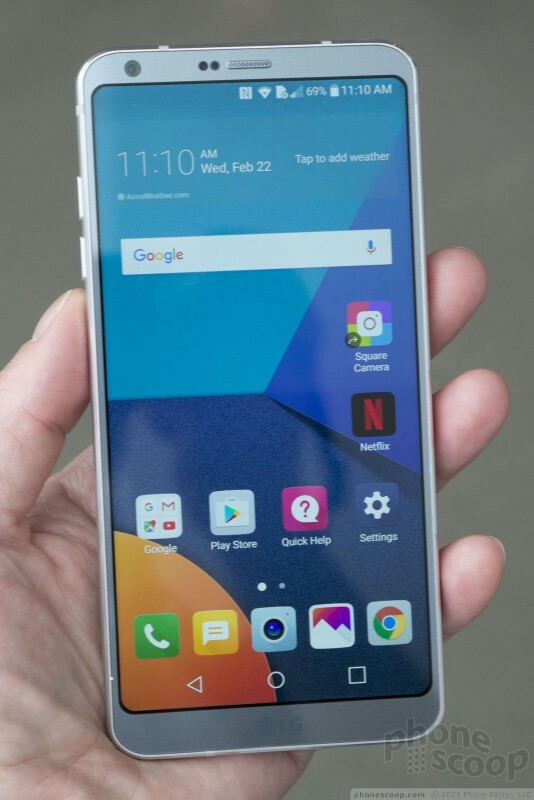 LG says the screen represents more than 80% of the phone's face, which means the bezels around the top, side, and bottom edges are as slim has can be. 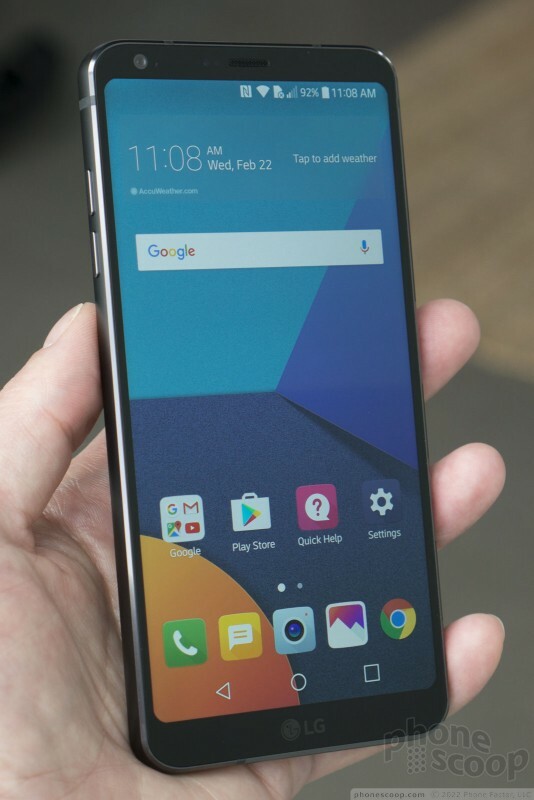 This means that, despite the 5.7-inch display, the G6 fits in your hand as well as a phone with a smaller screen might. I can't overstate this. 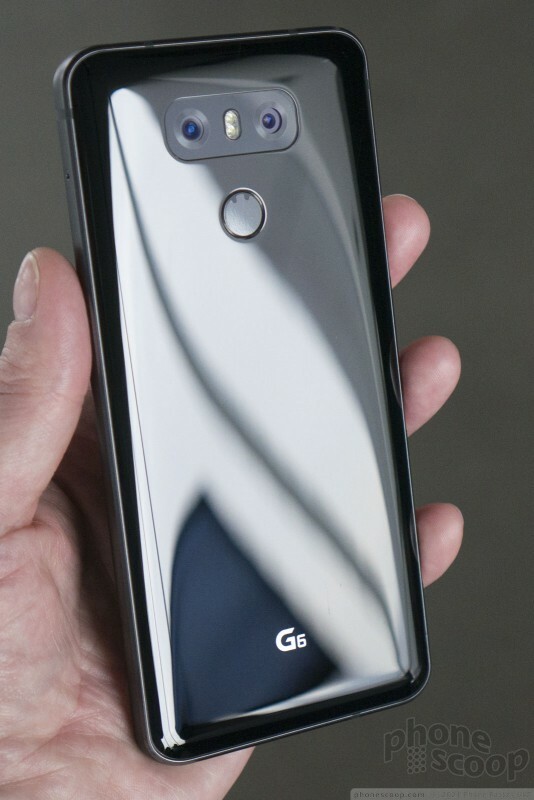 The G6 feels fantastic to hold and use. 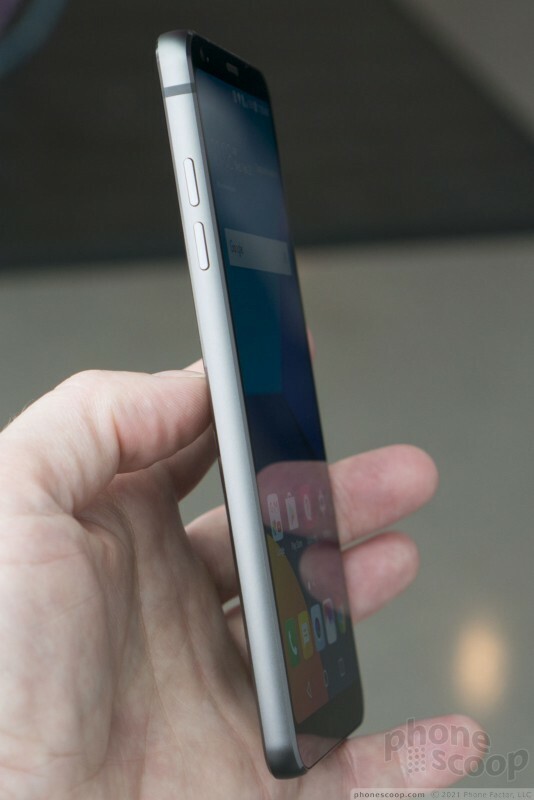 The phone has two main pieces of glass that are mated to an aluminum frame. 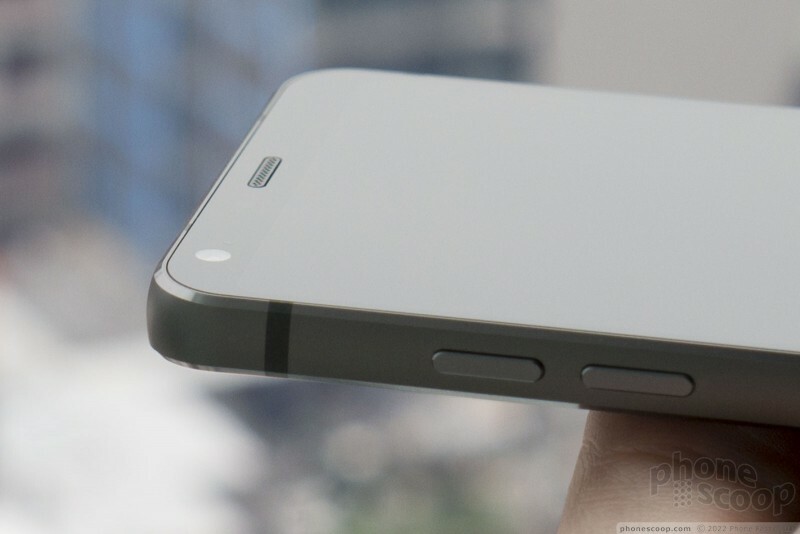 The front piece of glass is Gorilla Glass 3, while the rear is formed by Gorilla Glass 5. The metal frame is rather thick and feels incredibly strong. 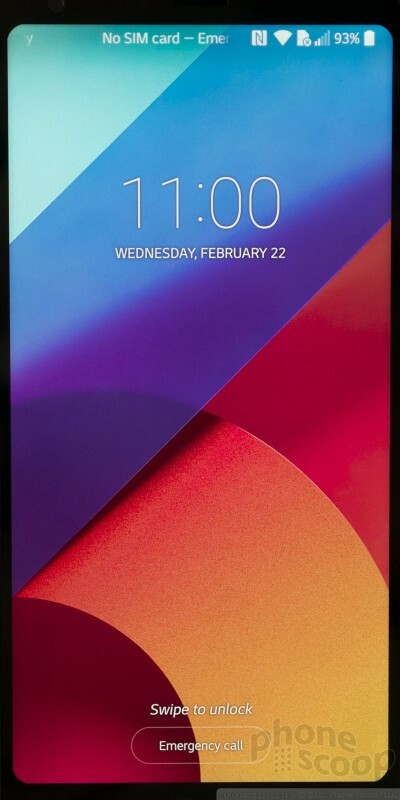 The front and back edges of the frame have understated bezels. 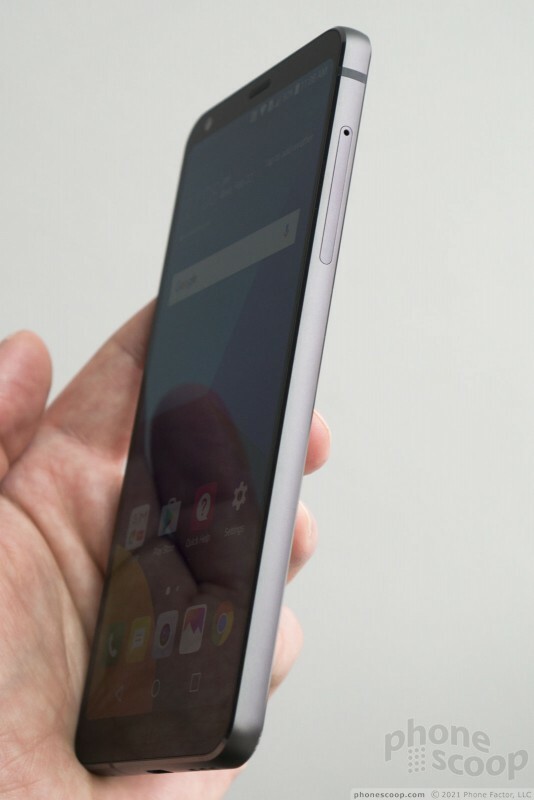 LG says the rounded design of the display and support given by the aluminum frame allowed it to use the thinner and lighter Gorilla Glass 3 over the display without sacrificing integrity. 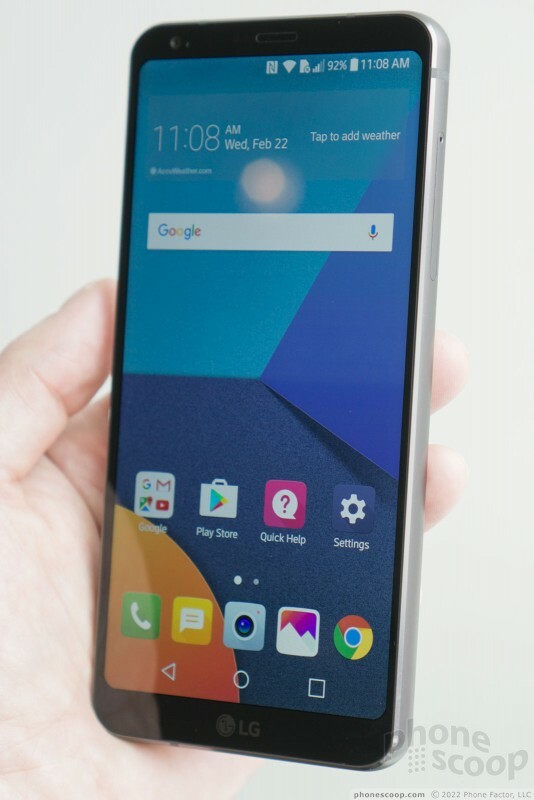 Whether or not this plays out in real-world use of the phone remains to be seen, but LG claims the device is rugged and will withstand numerous drops onto its side edges and corners. Beyond this level of ruggedization, the phone is waterproof. 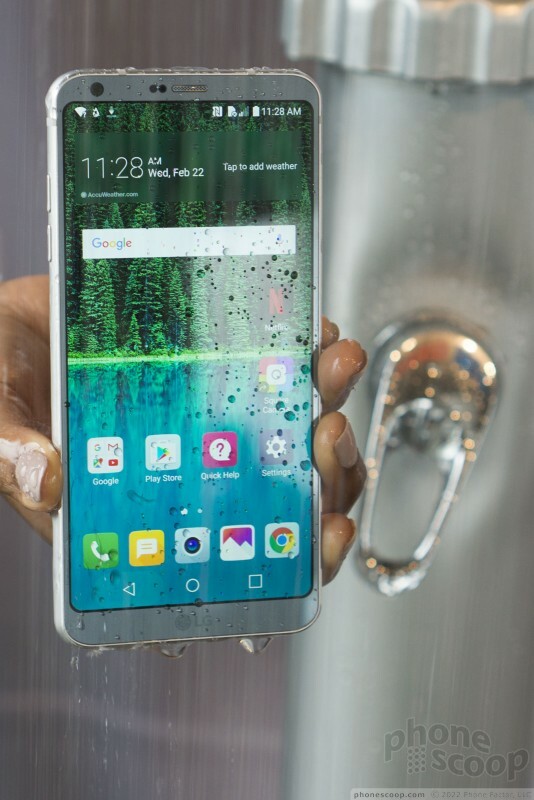 It carriers an IP68 rating, which means it can sit in 1.5m of water for up to 30 minutes. We held the G6 under a running shower for about 30 seconds and it came away unscathed. 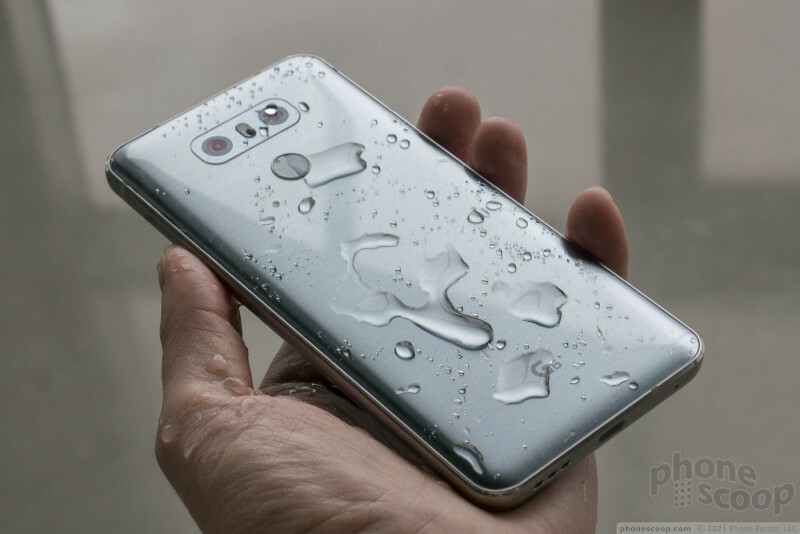 So yeah, it matches the iPhone 7 and Galaxy S7 as far as protection from water is concerned. The display is quite something to behold. 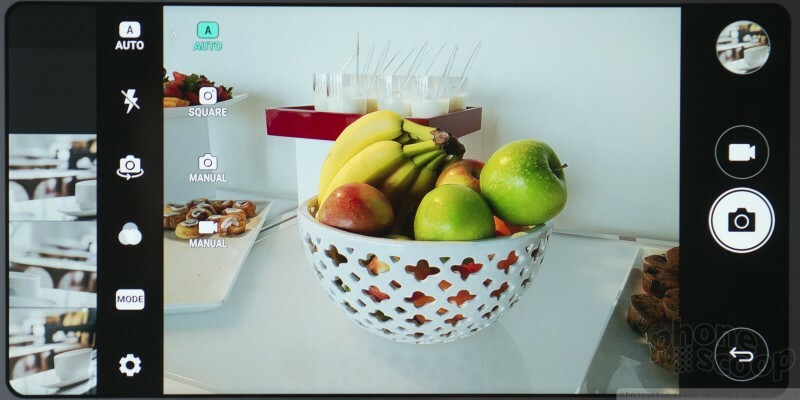 Like most screens from LG, it is an IPS LCD display. 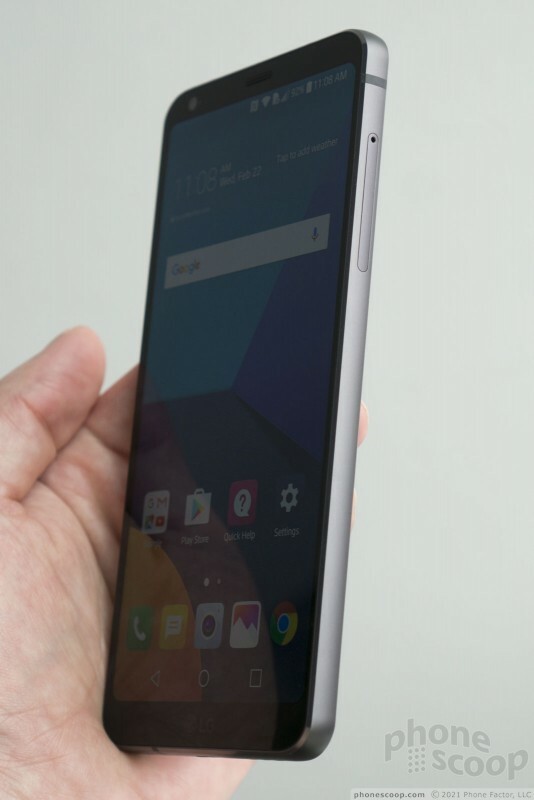 It measures 5.7 inches across the diagonal and has what LG says is the Next Big Thing, an 18:9 aspect ratio. 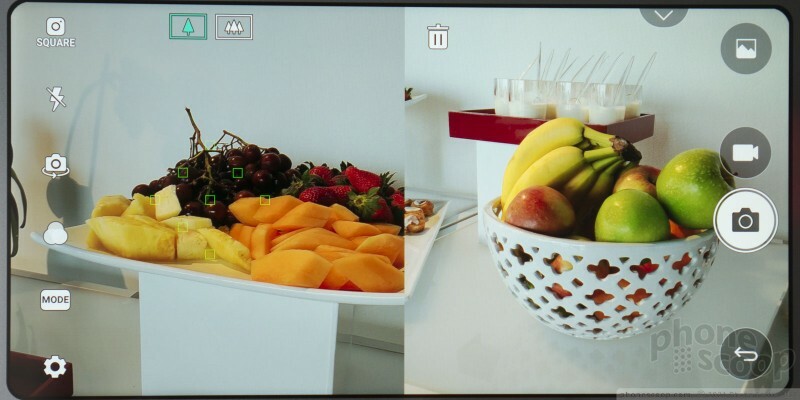 The quad HD+ resolution gives the screen 2,880 by 1,440 pixels. 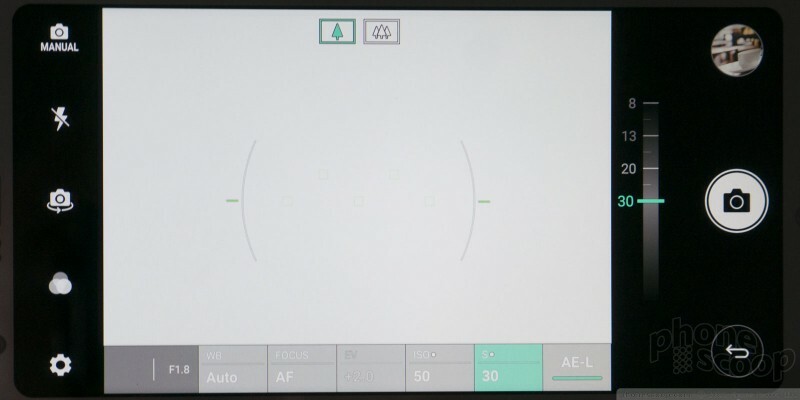 Those extra pixels at the top and bottom are put to use throughout with little touches, such as expanded notifications, or software controls along the bottom. 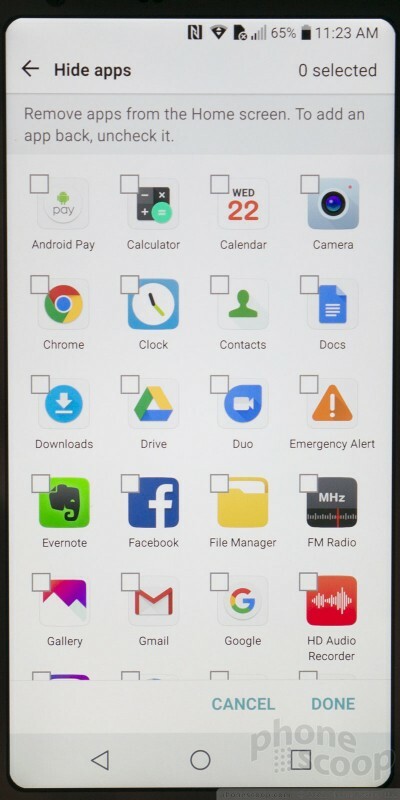 In our meeting with LG, the company spent a lot of time extolling the supposed benefits of this extra screen real estate, which give apps such as the camera more room to breathe. Further, LG says the 18:9 aspect ratio perfectly bisects the 1.85:1 and 2.35:1 aspect ratios (generally) used by filmmakers. In other words, the G6 should be great for watching movies. 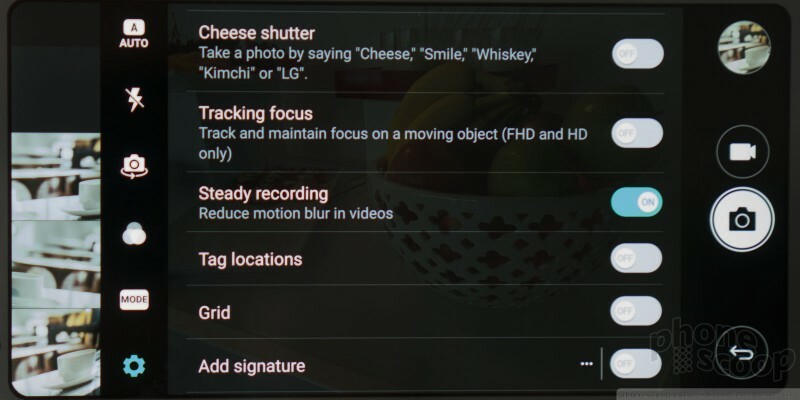 LG added some tech behind the scenes to improve that experience further. 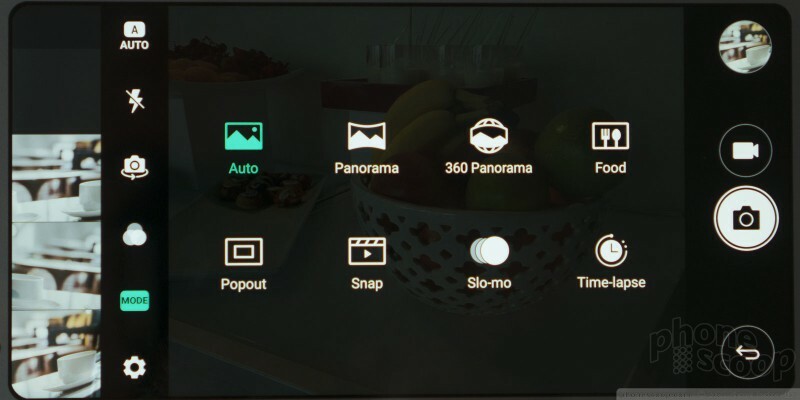 For example, the display supports HDR+ for expanded tonal range. The video samples we saw looked phenomenal. LG also added Dolby Vision, and a great DAC for sound — but then limited the phone to a single, sideways firing speaker. Seriously bad thinking here, LG. Like many handsets to come from LG the last few years, the G6 places the controls on the rear panel. 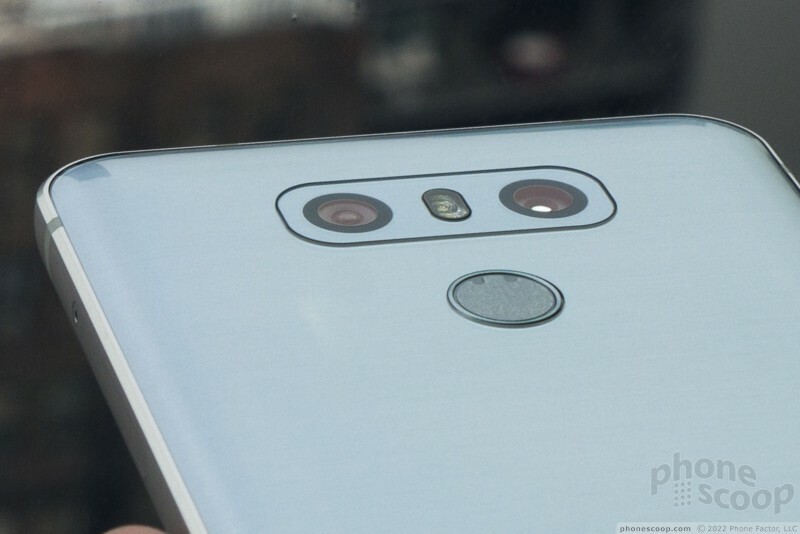 That means the fingerprint reader is located just below the camera assembly. 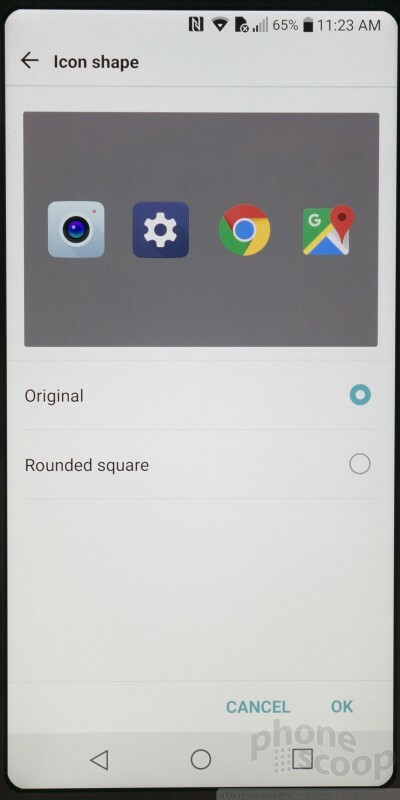 The fingerprint reader is a small, indented circle. I was able to find and use it no problem. 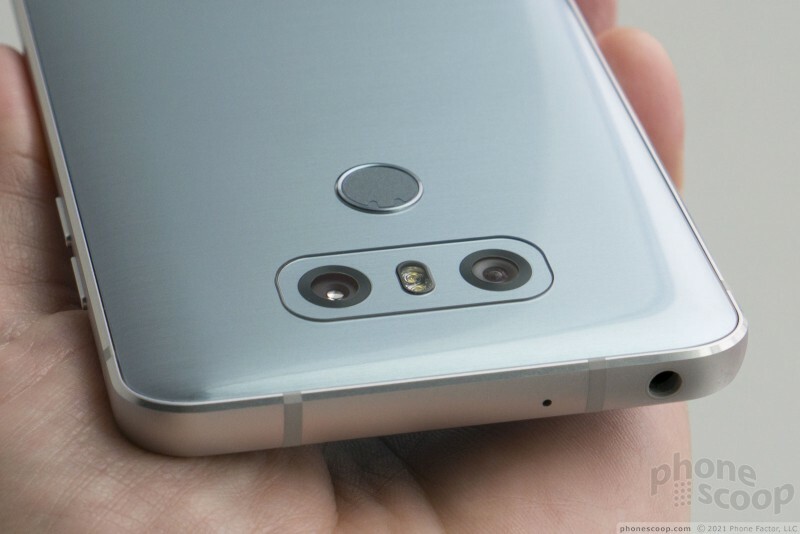 Thankfully LG got rid if the rear-mounted fume buttons and moved those to the left edge of the phone. The volume controls are two separate keys near the top of the left side. 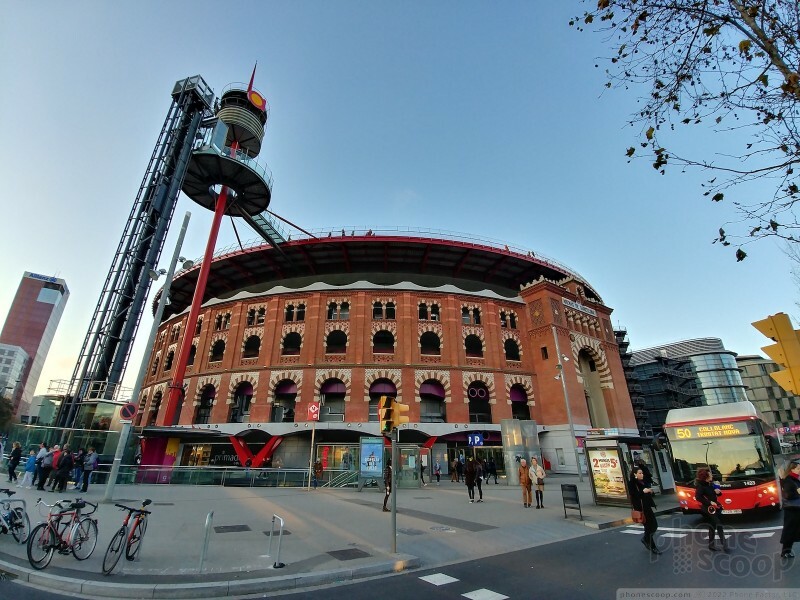 They have an excellent profile, and travel and feedback are quite good. 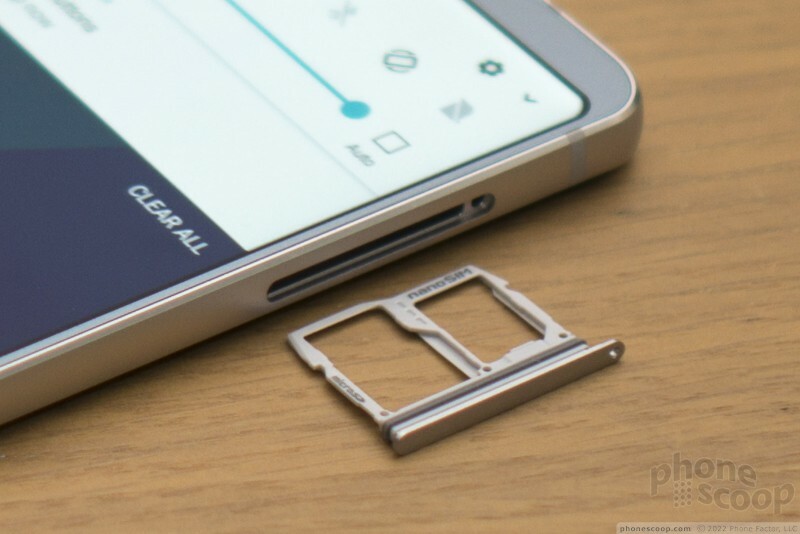 The SIM card and memory card fit into a wide tray that's tucked into the right edge of the phone. 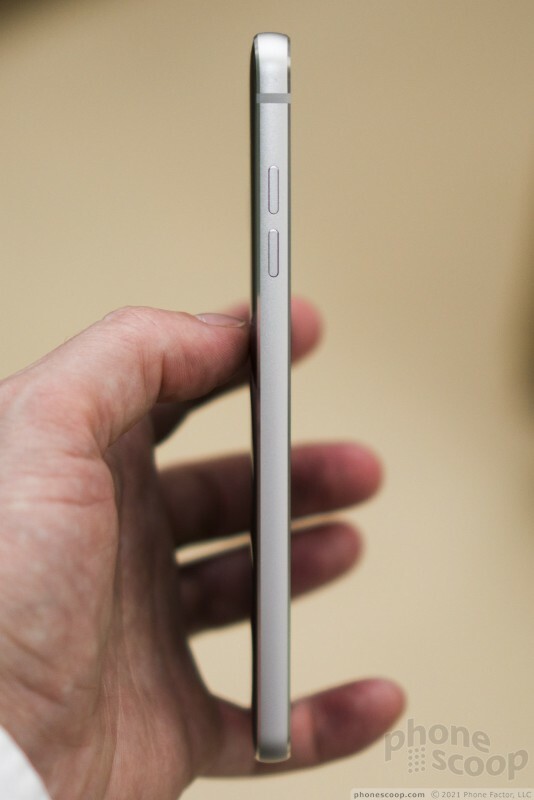 The bottom of the phone looks like many others these days. 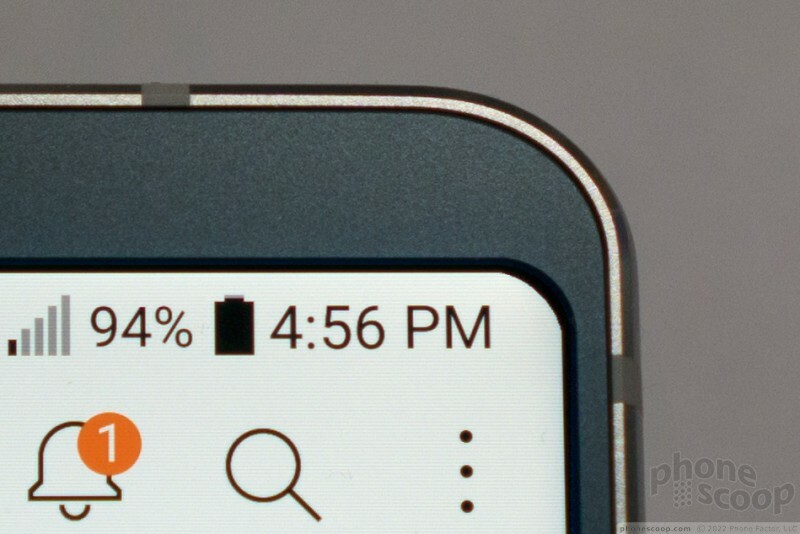 A USB-C port is centered and flanked by small openings for the speaker. 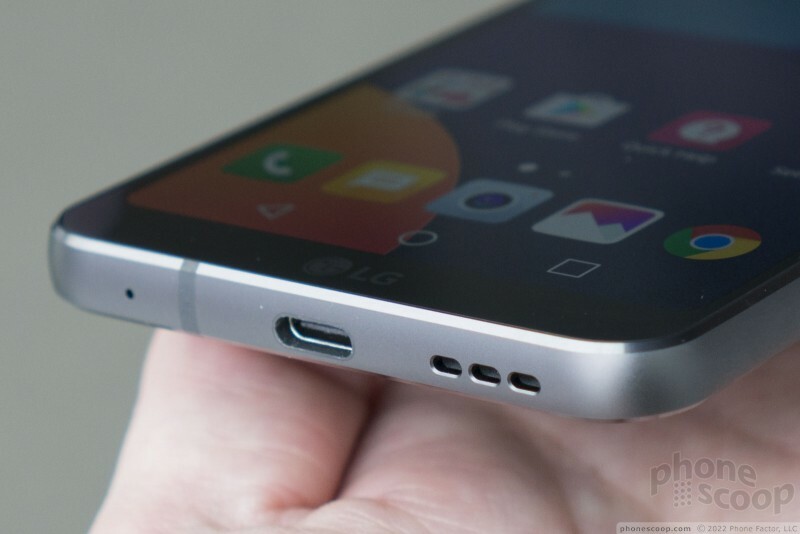 Some people will surely be relieved to learn the G6 has a 3.5mm headphone jack on the top edge. LG decided to seal the battery inside the G6, something it hasn't done before with its flagship devices. I don't think consumers lose anything in this change. 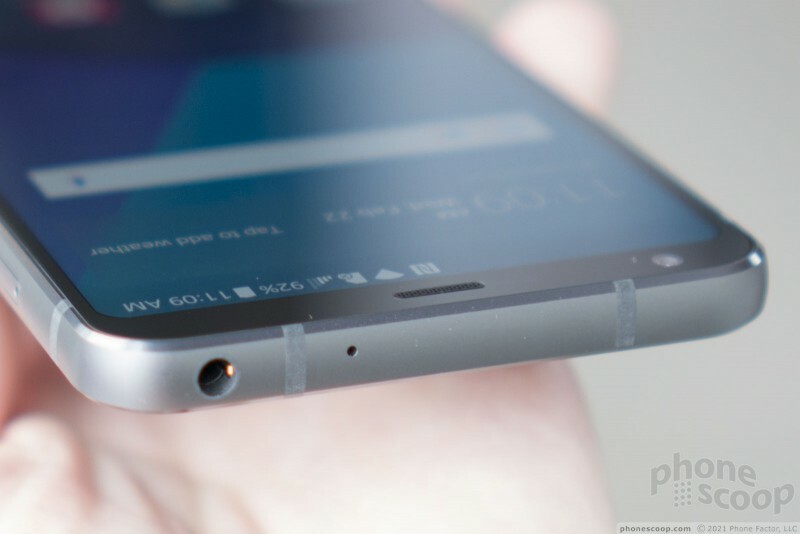 To start, the battery improves in size by 20% when compared to last year's G5: it goes from 2,800mAh to 3,300mAh. Moreover, it supports QuickCharge 3.0 and wireless charging from both Qi and Airfuel. That means you can place it on any wireless charging pad and it will power up. That's good stuff. 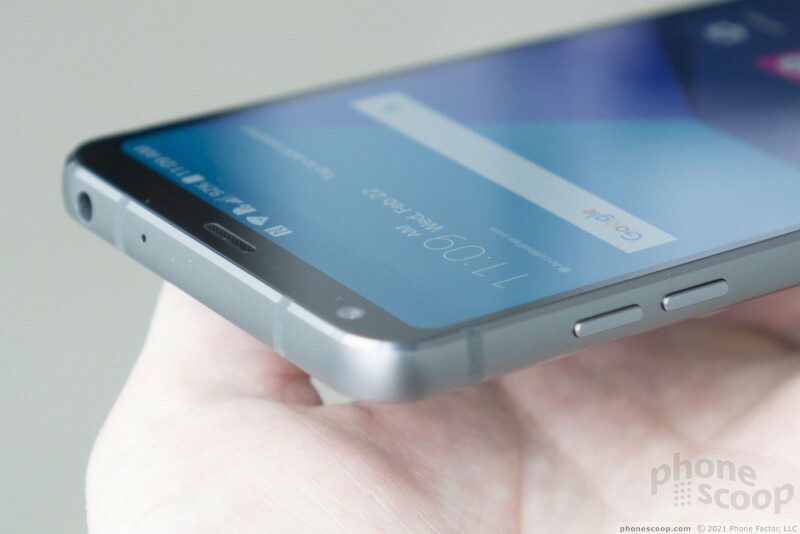 You might be wary of the Snapdragon 821 processor. 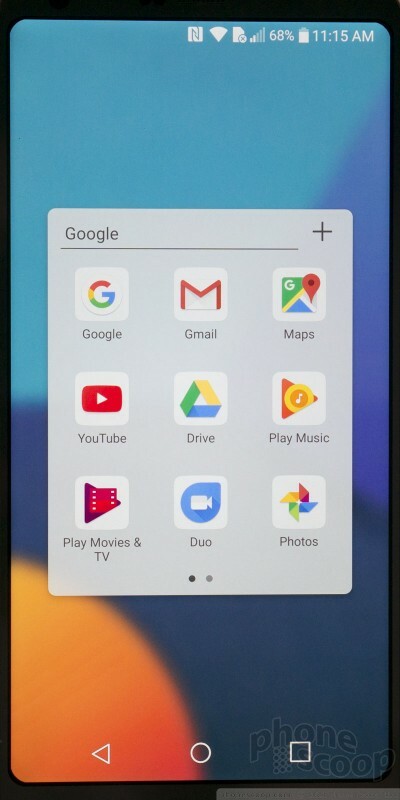 This chip was announced last summer and we first saw it in the Google Pixel. 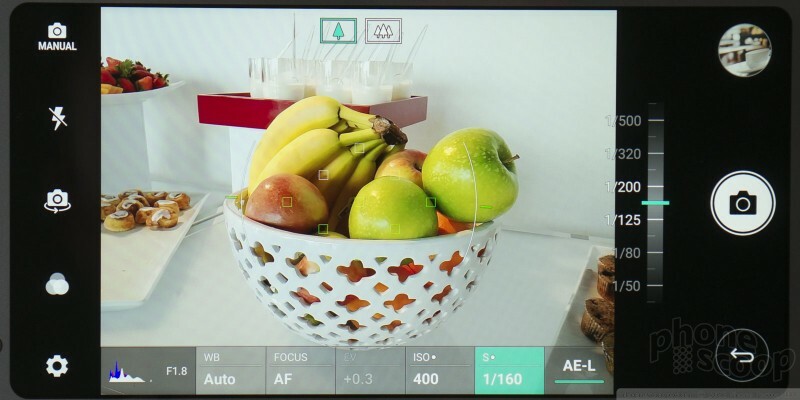 It's a fine chip and has an excellent ISP to help the camera. That likely won't assuage those who know the Snapdragon 835 — a truly premiere processor — is just around the corner. 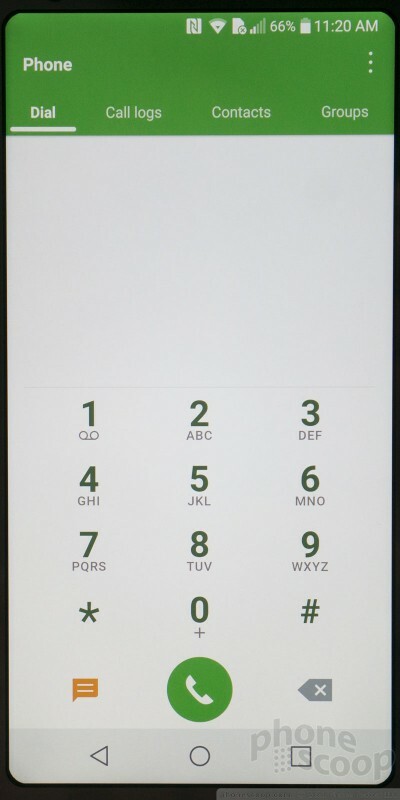 In explaining its decision to go with the 821, LG simply said the 835 wasn't available when it conceived the phone. 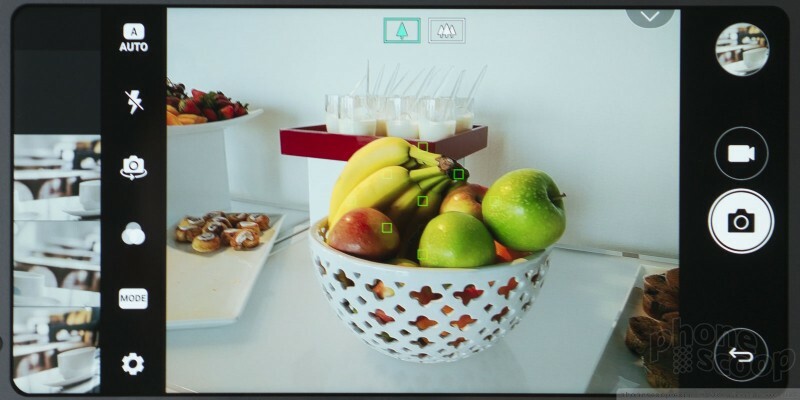 Moreover, LG worked directly with Qualcomm to port over some of the 835's best features to ensure that the G6 has the latest and greatest in processing power, efficiency, and multimedia capabilities. Bottom line, I'm not worried about the 821. There's plenty to say on the software front, though most of it is probably best left for a full review. 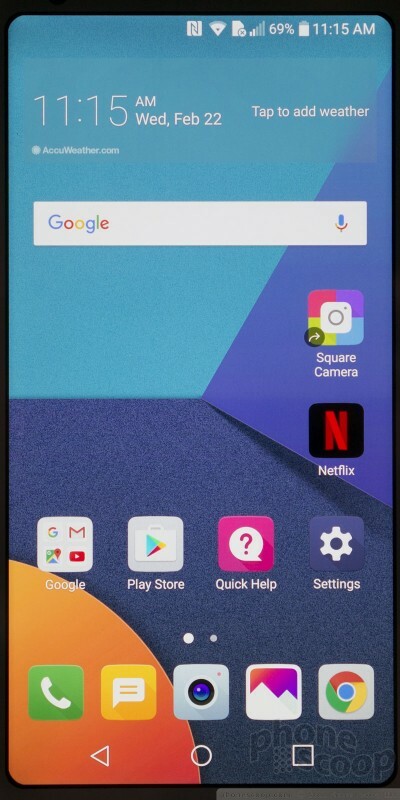 The phone runs Android 7.1 Nougat with LG's revised user interface. 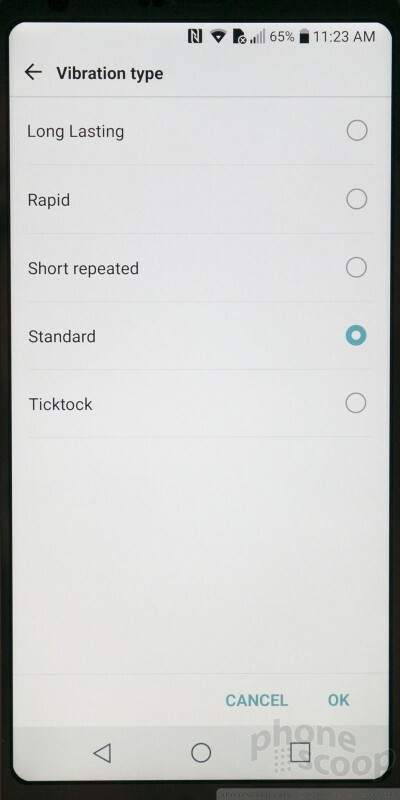 It will be the first non-Pixel to ship with the Google Assistant tool, which is a neat extra. 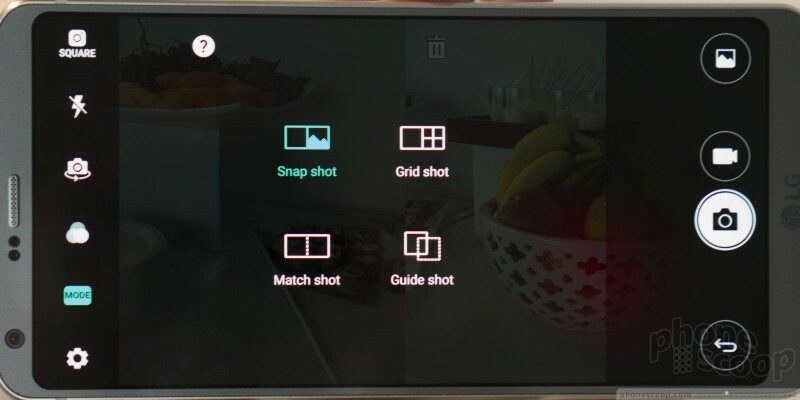 The UI matches that of the LG V20 almost exactly. 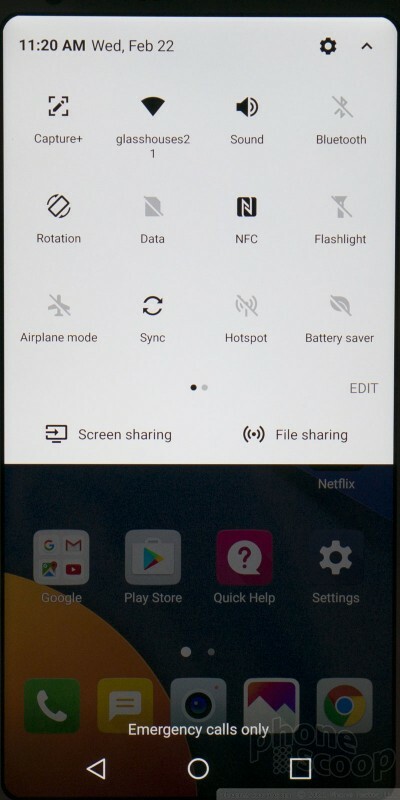 The home screens offer plenty of real estate for widgets, apps, folders, and shortcuts. 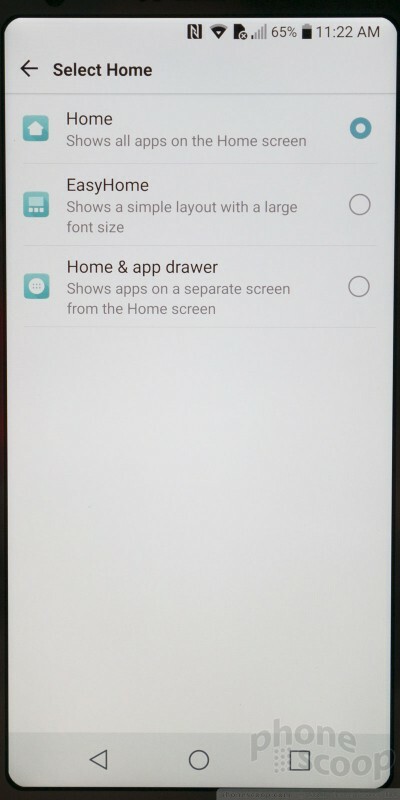 The home screen can be set to include an app drawer or not (default is not). 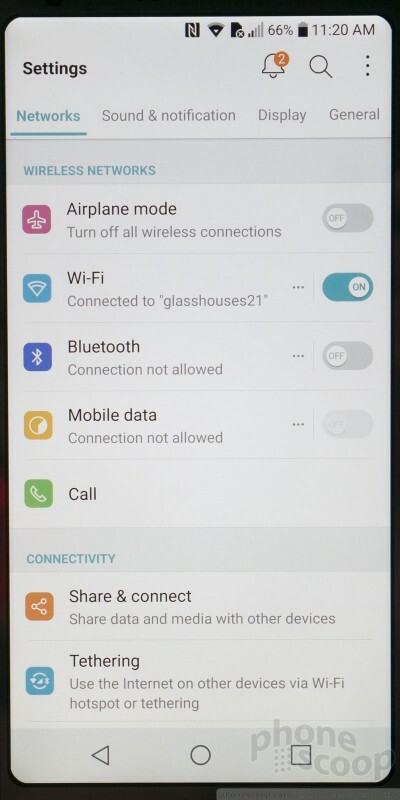 You may also change the arrangement of the software controls, the color of the software controls, as well as what goes where in the Quick Settings screen. 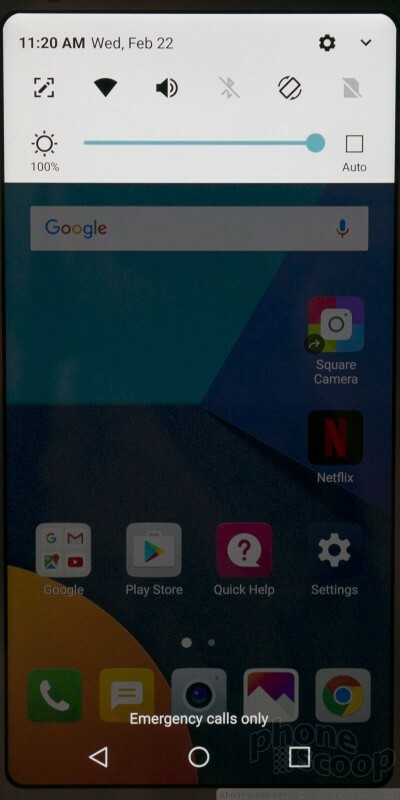 The G6 supports LG's QSlide apps, which are now accessible through a dedicated home screen button if you wish. 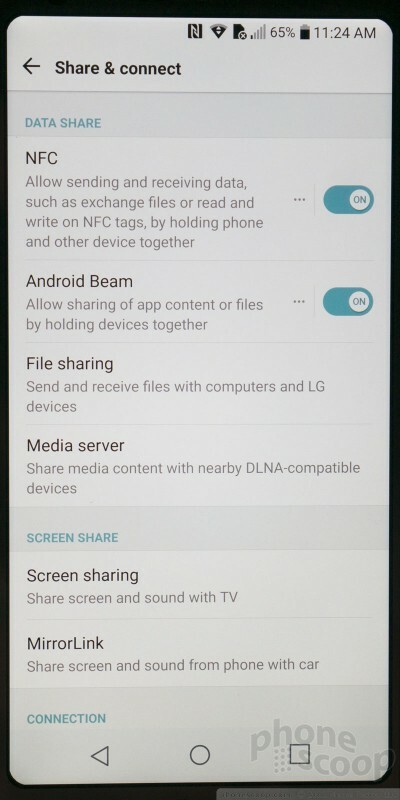 And of course LG included its QuickMemo tool for taking and marking up screen shots. 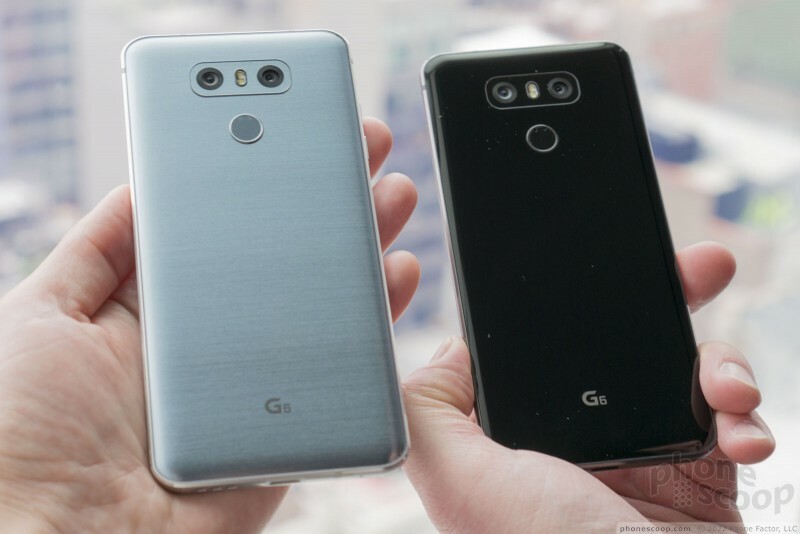 The G6's camera is where LG really went to town with the software. 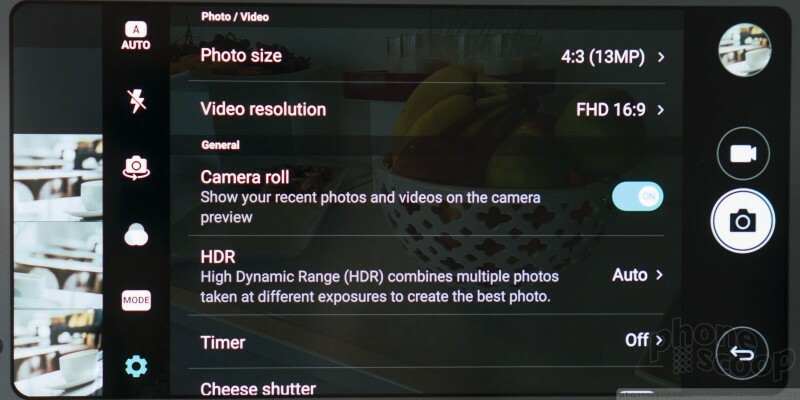 It has completely reimagined the camera and put that 18:9 aspect ratio to use. You'll note, in particular, the two side-by-side square images in one shot below. 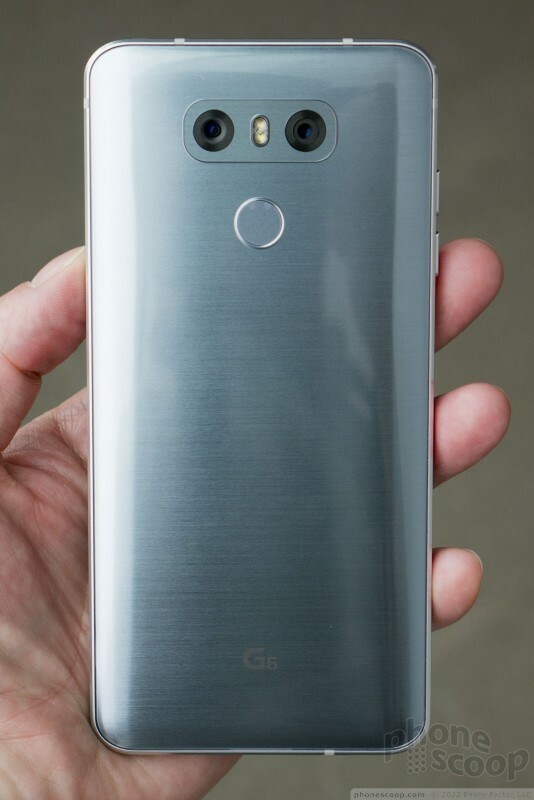 LG things the G6 is going to be an Instagram powerhouse with its square-photo-taking abilities. 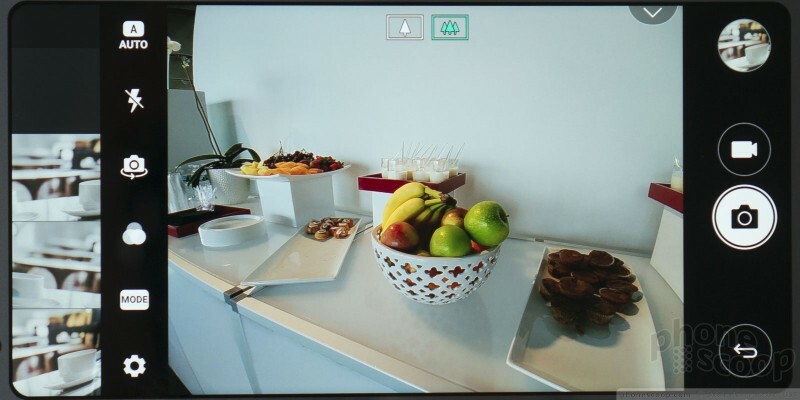 Honestly, I'm more excited about the film strip that appears to one side when taking normal photos. This lets you see the most recent three pictures you've taken for reference. At the time of this writing the only unknown variable is pricing and availability. I'd expect the price to fall in the $750 range. Availability will be soon. 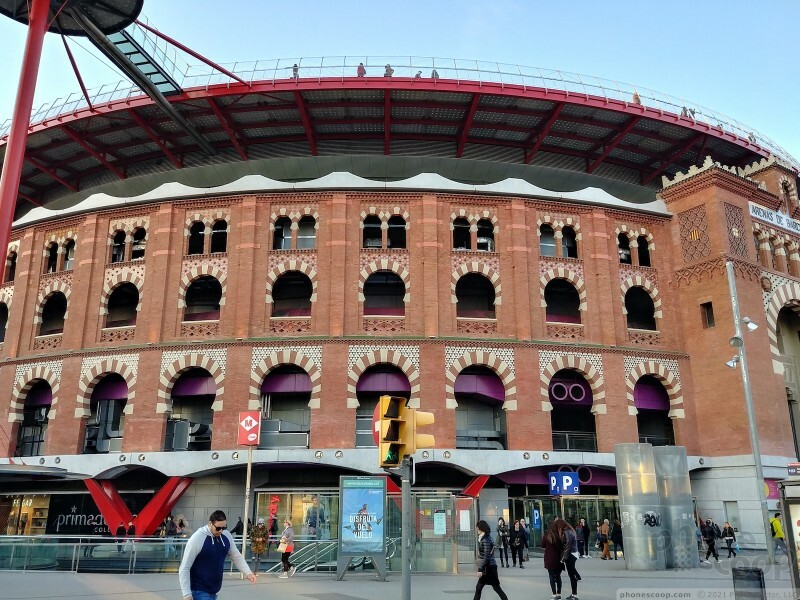 Really soon. Maybe as soon as March 10. LG needs to get this phone on store shelves a month or two ahead of the Galaxy S8 and it appears that will indeed be the case. 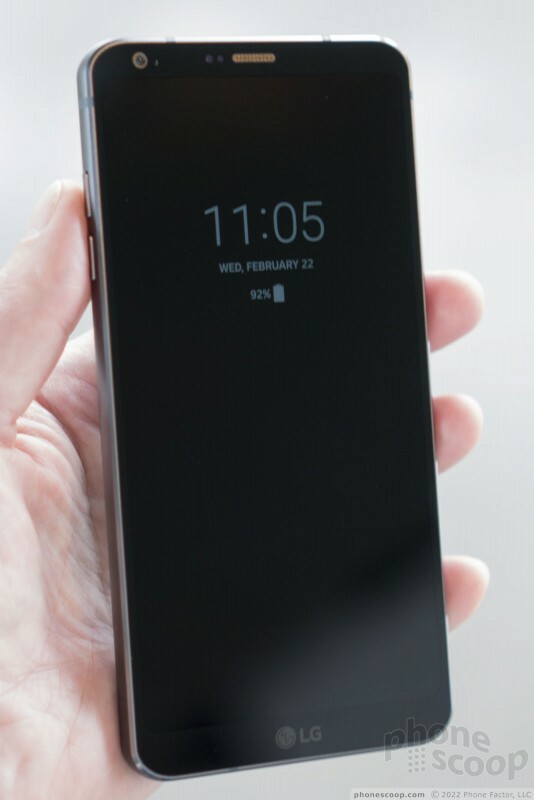 Woud I recommend this phone? Based on my short time with it, absolutely. "LG decided to seal the battery inside the G6, something it hasn't done before with its flagship devices." This is false. Both the Optimus G (my 1st LG device coincidentally), the 1st G-series flagship and it's successor the G2 had sealed in batteries. It wasn't until the G3 when the G-series started using removable batteries.